There are many resources dedicated to the art of writing and becoming a successful writer. And the number online is growing all the time. In addition, it lists contests, calls for writers, and the latest information on literary agents. Twilight series author Stephenie Meyer got her start from all she learned subscribing to Writer’s Market. Make the most of all the free information at the site and then decide if one or more of their subscriptions is right for you. Also check out their Paid Services section for chances to write in order to start getting your name recognized in the industry. This is another packed website no writer can live without. It is packed with articles, writers’ challenges, contests, genre-specific advice, and editors’ blogs that can give you real insights on how to break into the world of publishing. This site lists contests, writing opportunities and more – all free. They offer many online (and live) courses designed to help with all aspects of writing. If you haven’t done much writing since you were in high school, or want to learn the tricks of the trade in reference to particular genres, this is a handy and affordable way to boost your skills. Bartleby is like a writer’s reference shelf all in one place, with digital versions of classics, grammar books and more. If you’re looking for quotations, inspiration, a dictionary, thesaurus, etc, this is the site for you. The Do-It-Yourself Master of Fine Arts site tries to help you do just that – learn how to be a writer without having to go back to college. It is packed with ideas, hints and tips. It also has a really fun “Writer Igniter” that gives you a random character, situation, prop and setting to help get your creative juices flowing. Just use the situations given and start writing, or hit the “shuffle” button to get other prompts. This is a rather sprawling online magazine packed with writing hints and tips for every genre. It also has a useful list of writers’ organizations that can help propel your career forward. Hated grammar at school? Not to worry. Grammar Girl makes it a lot more accessible at this interesting site. This is the site for all things related to editing and proof-reading. Use the free resources, or explore their paid services to make sure your manuscript is the best can be. 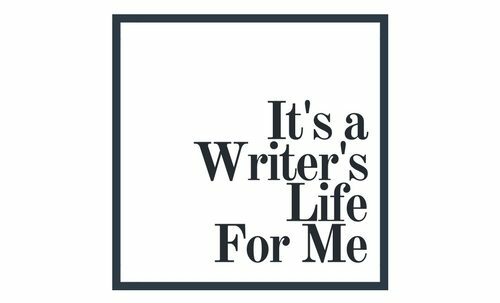 For the past 23 years, this site has been helping authors get published. Check out free articles, listings and more, or use their affordable services.